Our Lawyers Make Hospital and Home Visits! Our Phoenix personal injury lawyers understand that quite often after an accident, you may not be able to get around very well. 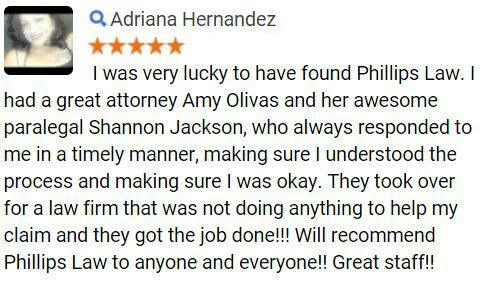 Thats why our personal injury lawyers with Phillips Law Group will come to you. For your convenience, just call us to arrange a free, no obligation consultation at your home, office, the hospital or anywhere. There is no additional cost for this service. It is our way of showing that our clients well-being comes first. Our Phoenix and Arizona personal injury lawyers will come to your house or the hospital to discuss your case. No office visit required. Or e-mail your personal injury questions to our Phoenix lawyers at Phillips Law Group and someone will be glad to get back to you. 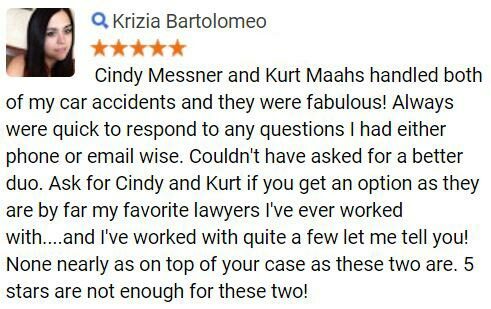 We can also be retained by telephone or you are welcome to visit one of our personal injury lawyers in Phoenix, Arizona. Home and hospital visits can usually be arranged within two hours after contacting our Phoenix personal injury lawyers. 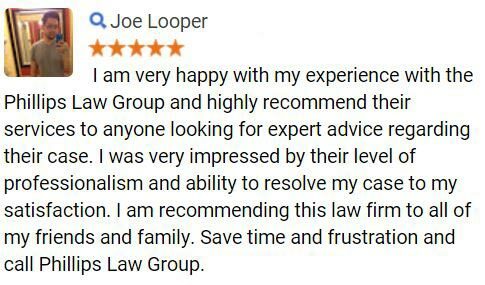 Our team of attorneys, legal administrators, investigators, and assistants thoroughly explore the details and facts of your case. We can locate witnesses, obtain witness statements and take photographs. After suffering a personal injury, it is important to document both the injuries to the person as well as damage to the vehicle or other property involved, as well as the scene of the accident. 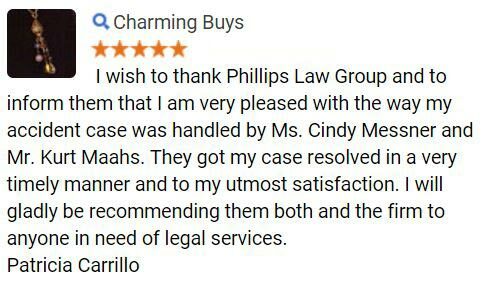 Our Phoenix area Arizona personal injury lawyers at Phillips Law Group can help with everything. Since many of our personal injury cases involve motor vehicle accidents, we associate with a number of expert witnesses, including an accident reconstruction analyst. Expert witnesses may be consulted, if necessary, and used to evaluate your case or at trial if your case proceeds to trial. Our full time staff also includes an office manager, paralegals and other secretarial staff who have the highest level of dedication to your best interests and well being. Please contact a Phoenix personal injury lawyer to discuss your situation at your home, the hospital, or our offices.